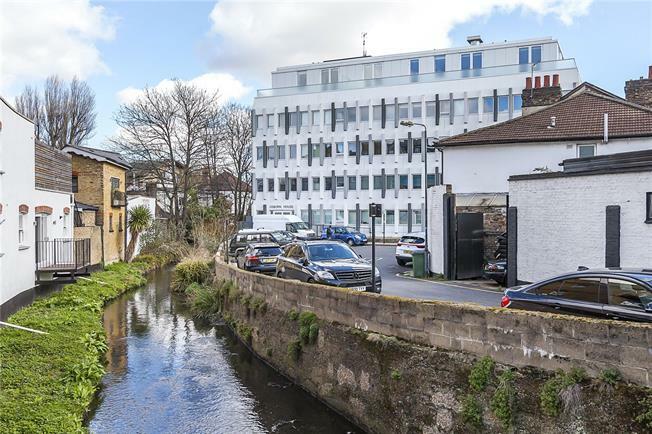 An attractive two bedroom apartment situated in a newly converted development close to Blackheath Village. This larger than average apartment is found on the second floor and consists of two double bedrooms, the master with built in wardrobe and en-suite bathroom, a separate shower room and an open plan living room/kitchen. Both bathrooms are stylish in design, with tiled floor and walls. The open plan living room has bi-folding doors out to a decked terrace with cleverly designed seating area. The kitchen is fully integrated and wooden flooring runs throughout the apartment. Blackheath Village is within very close proximity and offers an array of shops, bars and restaurants. Beyond the village you will find the open expanse of the heath itself, which is a jewel of South East London. Blackheath station is ideal for commuting into town with regular services in to London Bridge, Charing Cross, Cannon Street and London Victoria. One stop down the line will bring you to Lewisham Station where the DLR service provides regular services into Canary Wharf and Bank.